Transportation officials could not say for sure what’s causing the uptick, which has come as state and local governments are spending millions to make improvements for pedestrian and bicyclist safety. Pedestrian and bicyclist deaths doubled statewide over four years, a new state report shows, despite Washington’s ongoing effort to eliminate traffic fatalities and serious injuries by 2030. The number of pedestrian and bicyclist deaths had been trending downward since Target Zero’s launch in 2000, according to data from the National Highway Traffic Safety Administration. But a report from the Washington State Department of Transportation (WSDOT) says the number of people killed while walking or riding a bike on public roads in the state rose to 122 last year, up from 60 in 2013. The number of pedestrians and cyclists seriously injured jumped by 31 percent over the same time period, from 351 to 461. Pedestrians and bicyclists accounted for 22 percent of all traffic fatalities statewide last year, compared with 14 percent in 2013. Far more of the deaths were among walkers than cyclists. The trend puts the state’s Target Zero goal into question, “and it’s [a question] we’re asking ourselves right now,” said Shelly Baldwin, legislative and media director for the Washington Traffic Safety Commission. Neither WSDOT nor the commission could say for sure what’s causing the uptick, which has come as state and local governments are spending millions of dollars on improvements for pedestrian and bicyclist safety. But the report blames speed limits of 30 mph or greater on urban arterials, distracted driving, and walkers and bikers impaired by drugs and alcohol as contributing to the fatalities. The 2030 Target Zero date is a self-imposed deadline, Baldwin said. “We’re committed to having it be a goal that has a date so that we do push ourselves to meet it,” she said. The WSDOT data remain preliminary for six months in the event that a serious injury turns fatal. The report, called the Gray Notebook, is a quarterly analysis of the agency’s performance. Between 2013 and 2017, 48 percent of pedestrians and 43 percent of bicyclists killed were impaired by drugs or alcohol, the report said. “We haven’t messaged effectively” how dangerous walking impaired can be, Baldwin said. She emphasized the need to walk with a buddy or call a cab. Inattention also has become a bigger factor in traffic fatalities and injuries, including among walkers and bikers. Over the past five years, drivers distracted by technology, such as cellphones, contributed to 29 percent of all traffic fatalities in the state. Washington’s distracted driving law, which outlaws the use of electronic devices while behind the wheel in most cases, took effect in July 2017, and the enforcement grace period ended in January. Baldwin expects the new law to help but said other measures, such as expanding school zones, implementing speed-zone cameras and instituting checkpoints to look for intoxicated drivers, could do more to reduce deaths and injuries. Traffic engineers are also using such methods as shortening the crossing distance for pedestrians and narrowing the width of travel lanes and decreasing the number of lanes through so-called “road diets” to push drivers to go slower. Charlotte Claybrooke, the active transportation programs manager at WSDOT, said the agency has identified improvements that can reduce fatalities, including pedestrian-activated lights that flash when someone is in a crosswalk and crosswalks raised like a speed bump to slow traffic. In King County, about 20 pedestrians on average were killed each year from 2012 to 2016, according to the National Highway Traffic Safety Administration, which reports its data slightly differently than the state. In the same time period, about three bicyclists were killed annually in King County. During 2016 in Seattle, five pedestrians and three bicyclists died in traffic crashes, according to the city’s 2017 Traffic Report. 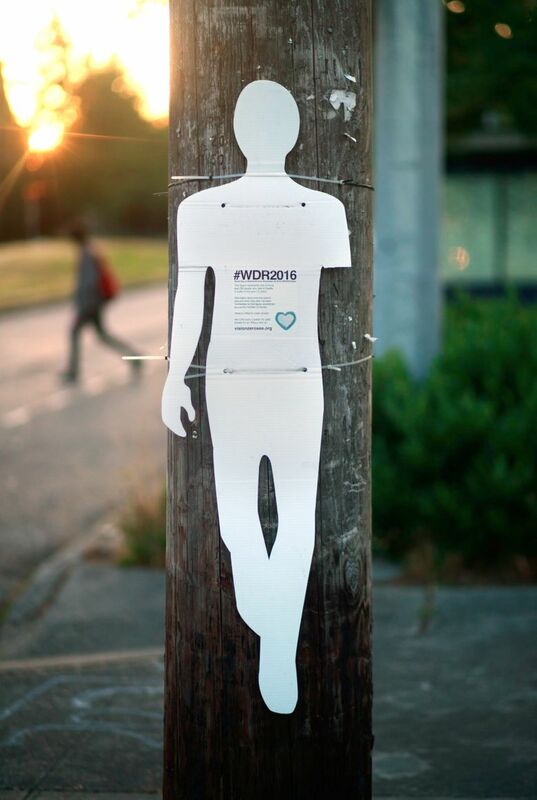 The WSDOT report also noted disparities in the race and economic status of victims. People of color and people who earn lower incomes were overrepresented in pedestrian and bicyclist fatalities and serious injuries, the WSDOT report said. For example, American Indian and Alaska Native people represented only 2 percent of the state population between 2013 and 2017 yet accounted for 6 percent of traffic fatalities. While 43 percent of the population in Washington lives in areas with a poverty rate higher than the state average, about 59 percent of fatal and serious injury crashes occurred in those areas, according to the report. This past year, WSDOT identified communities with lower income or people of color that had above average crash rates and encouraged local governments there to apply for funding of projects that would make the streets safer. Claybrooke said her division was organized in the beginning of 2017 to address this issue. An earlier version of this story said Seattle’s 2017 Traffic Report contained 2017 data. In fact, the numbers of deaths are from 2016.